Block all robo calls, political calls, scam call and all unwanted calls at the touch of a button with America's No.1 Call Blocker. It's time to treat yourself to the V10000 with 15% off today only. Block all robo calls, political calls, scam call and all unwanted calls at the touch of a button with America's No.1 Call Blocker. 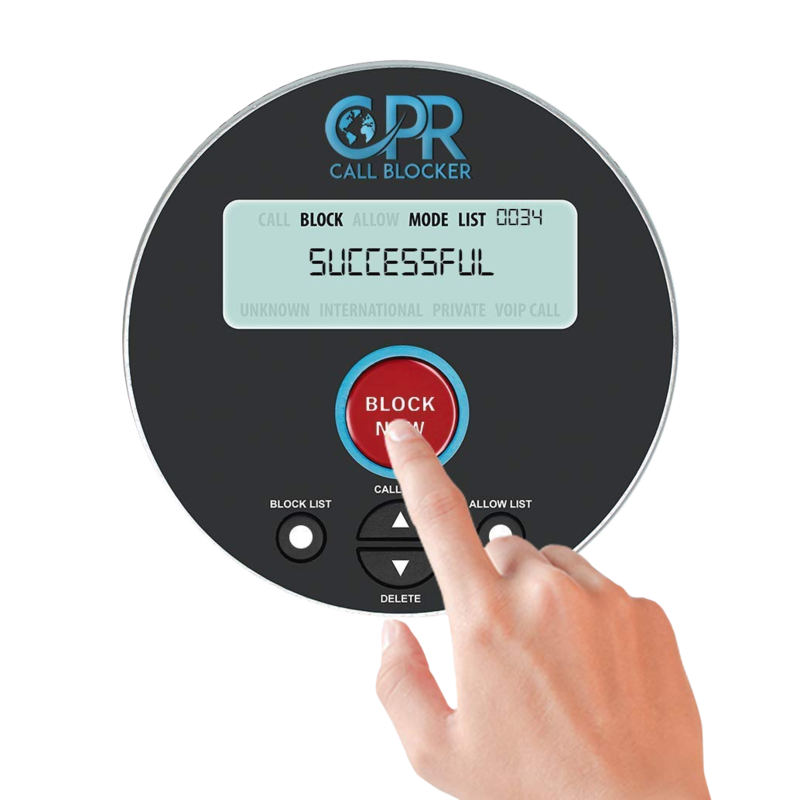 Our most advanced CPR Call Blocker V10000 with a dual mode to block all Robocalls, Political Calls, Scam Calls and Unwanted Calls on your landline. Block all nuisance calls at the touch of the BLOCK NOW button. Protect yourself against all robo calls, political calls, scam calls and all unwanted calls at the touch of a button. Now pre-programmed with 10,000 of the worst offenders, the hard work has already been done. Just plug it in to your pre-existing home phone and you'll soon bring back the tranquility and peace to your home. 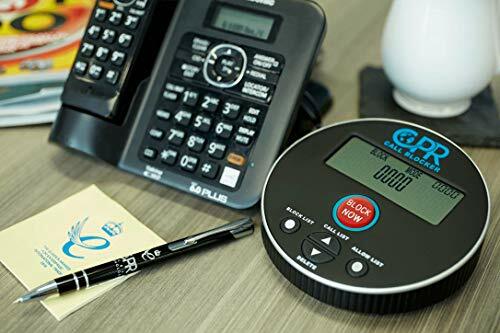 The CPR V10000 is extremely easy to setup and works with any landline. It also comes with a 2,000 number blocking capacity, making it easy to block unwanted callers at the touch of a button. Comes with pre-programmed 10,000 of the worst robo numbers. out of area or international numbers. Block an additional 2,000 numbers at the touch of the Block Now button. 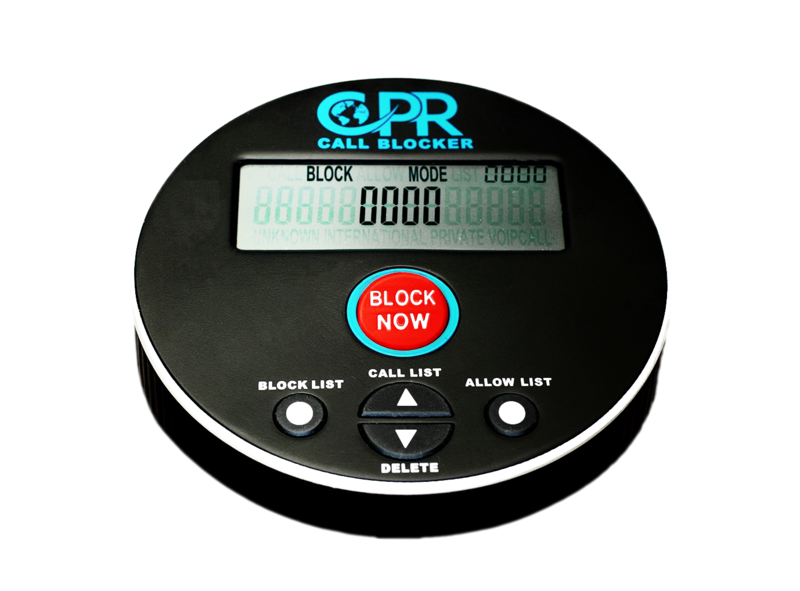 I highly recommend the CPR V10000 Call Blocker! Before we installed the call blocker we were getting 25 to 50 calls a day and at all times of the day and night. Well, that has stopped. It took about a week for all the advertising calls to stop. The only calls coming through are the ones we want to come through. If we get one we don't want to answer, we just push the block button and the caller is blocked for as long as we want them too be. Well worth the price we paid for the product. This is the best product I've found! It works perfectly! My robo calls have gone from hundreds to almost none! It extremely easy to set up and use! The calls we automatically blocked on a lot of incoming calls..the others are easily blocked at the base of using your phone. If you buy this product you'll recommend it to all your friends, as I did! So glad I got it, now its so peaceful anytime of the day. Wow, this sure is helping stop all the annoying calls we don't want or need! Love it! Our home is so much quieter without all those unwanted calls. Love this call blocker cause now I don't get all those unwanted calls anymore So glad I got it, now its so peaceful anytime of the day. The beautiful of this is that I can block the callers even after hanging up. Thank you.